I remember it like it was yesterday, although in fact it was decades ago: Poring over the photographs, lyrics and liner notes on my favorite albums, such as Sweet Baby James by James Taylor, or the very first Crosby, Stills & Nash album, and noticing one constant: the name Henry Diltz. Photographer. Since I’d seen his name so many times, and understood he was the choice of so many of these personal heroes of mine, I presumed, wrongly, that he must be a much older guy – a veteran photographer who had been in the trenches for decades before turning his lens on this new crop of talent. Of course, I was wrong. He was their contemporary, a fellow musician. Like his subjects – James, Joni, Jackson CSN and the rest, Henry was young, but deeply, preternaturally talented. And the reason his portraits were so friendly was because the subjects were looking at a friend. If you were also one of those people who pored over every word on classic albums, you already know his name, and might very well know his story. Or at least part of it, as his story has any facets: Not only was he the official photographer of Woodstock and the photographer of more than 80 albums from the ’60s on, including The Doors Morrison Hotel, James Taylor’s Sweet Baby James, the debut Crosby, Stills & Nash, Desperado by The Eagles, Jackson Browne’s debut and countless others, he’s also a legendary musician. He’s a fine and robust singer who plays banjo, recorder, clarinet and guitar. He’s a founding member of the Modern Folk Quartet (MFQ), a famous folk group formed in Hawaii in 1961. He toured with them throughout the country in the early Sixties and recorded several albums, including the famous single “This Could Be The Night,” produced by the infamous Phil Spector. Now I’m proud to call Henry a friend – a great friend – and somewhat of a mentor, in that I have watched him in action for years, and seen the way he operates behind the camera – the way he is with people, joking and talking as they relax even as he points that big lens at them. Being a great portrait photographer, as Henry has shown with his work and actions, as almost as much to do with how you relate to people as anything technological. When I started out doing interviews of great songwriters and other famous folks, we were still in the age of film, and although I attempted to take my own photos, doing that while juggling my cassette tapes and my papers with questions was just too much. So I worked with other photographers, and was very fortunate to get to work with the great Mr. Diltz. Now in this digital age, I delight in taking photos as well as interviewing and writing, and with constant advice offered by Henry, who is also conveniently a neighbor as well as a pal, I’ve learned a lot about how to take photos of our fellow humans. And one I love to take – as his spirit shines through his smiling eyes always, and his distinctive features – is Henry. So here throughout are many photos I have taken of him over the years. 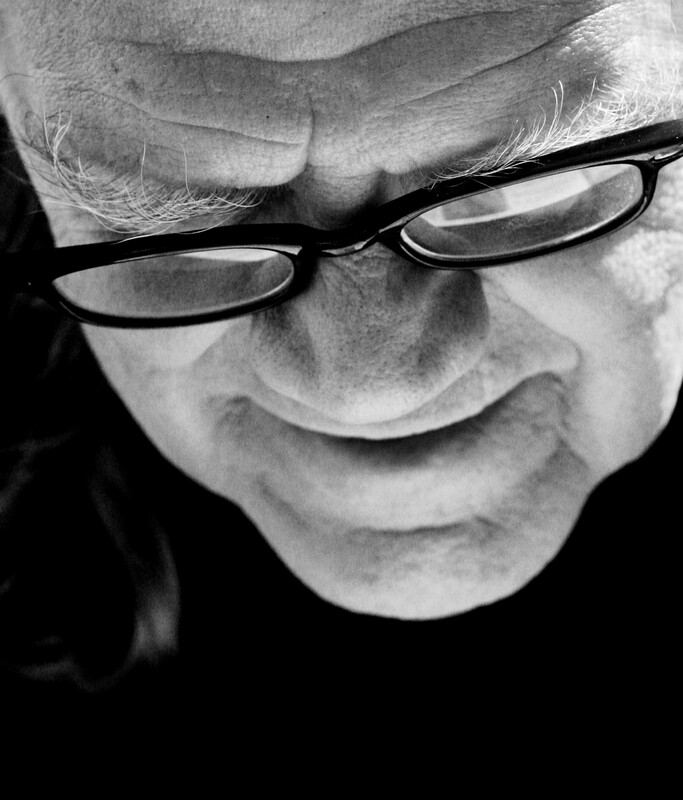 And rather than feature his famous work in this place, I direct you to his own website http://www.morrisonhotelgallery.com – and to the albums themselves. And since many of his friends were famous musicians, he began to take some of the most beautifully intimate, natural and genuine photos of these people–which matched the intimate nature of their music much more than the former conventional studio glam approach. And so by happy accident, and simply following his bliss, his music led him to become one of the leading photographers of his generation, part of a new school of celebrity portraiture which forever changed the visuals attached to pop music as profoundly as these musicians, his subjects, were changing the shape of pop music. Born on September 6 in Kansas City, Missouri in 1938, his father was a pilot for TWA, and his mother a stewardess, so the family was constantly on the move. In WWII, his dad joined the Army Air Corp, and as a kid Henry was a typical army brat, living in different regions every year, from Florida to Alabama, New York, Japan, and beyond. In 1944, his father died in a plane crash while testing a B-29 over Utah. His mother remarried a man named Duke, and Henry–known then as Tad–became Tad Duke. A few years later he became Henry Diltz again. He studied psychology at University of Maryland in Munich, Germany. While there he heard about West Point. 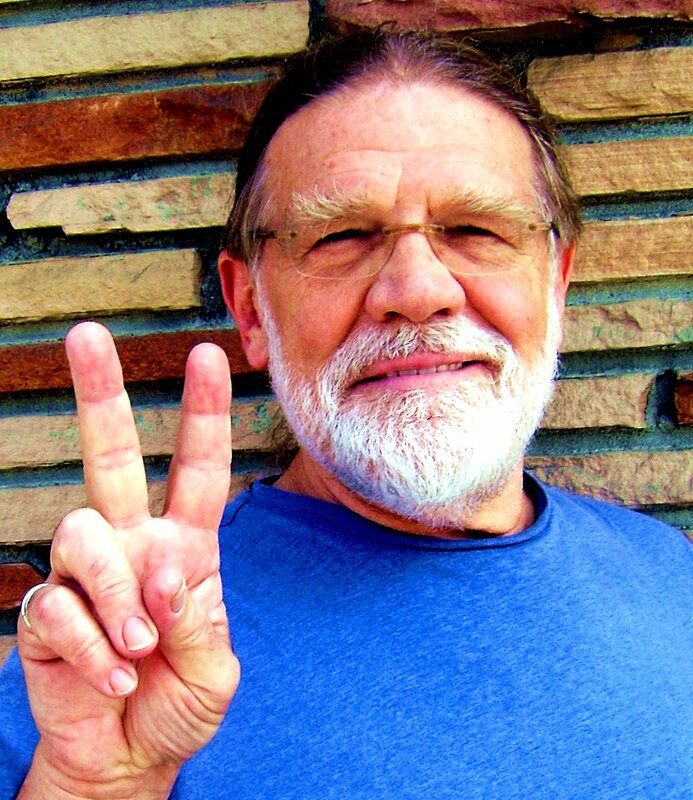 So this man who would come to visually define hippies for the rest of the world, as well as becoming one, attended West Point and became a cadet. And he adored it. “I loved West Point. I loved the military trip of it, the pomp and circumstance,” he said. “It was a fun game and I was good at it. It put me in great shape. I played 22 different sports there. And I loved the parades, when you put on the starched white pants, and the cross-belts with a brass plate in the middle. You had to polish that brass plate to get it beautifully shining. Henry’s book “California Dreaming” published by Genesis. But as much as these martial rituals satisfied him, he still hungered more than anything to play music. 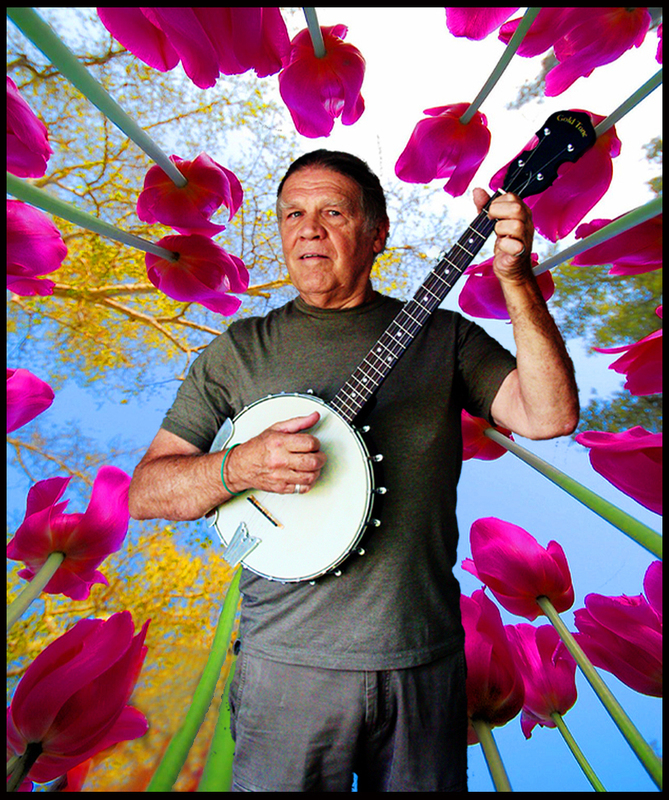 His love of folk music, of Pete Seeger and Bob Gibson primarily, both of whom played banjo, led him to want to make his own music. So upon graduation, he headed straight to Greenwich Village, where he purchased his first banjo. Like getting his first camera, it would change his life. Almost immediately upon arrival, as new friends recognized his musical aspirations, they all gave him the same name: Cyrus Faryar. A musician-poet and owner of the legendary Greensleeves Coffeehouse in Waikiki, he soon was Henry’s best friend. Singing at Greensleeves and other venues, little groups formed, and in this way the Modern Folk Quartet came to be, with Henry and Cyrus plus Jerry Yester and Chip Douglas. In 1962 they left Hawaii to come to Hollywood and make their fortune. They were signed almost immediately to Warner Bros, and joined the momentum of the folk boom then booming. Phil Spector, then looking for a good folk-rock group to produce, discovered the MFQ, and began to groom them for a studio project. “There were like eight guitar players,” he recalled, “six drummers, and me on banjo. Several drummers, always Hal Blaine. Big African hair drums. Tambourines, shakers, percussion people. One time I sat down and I was next to [guitar legend] Barnie Kessel. Although Spector was a functional and jovial man back then, he refused to release any record that he wasn’t sure would reach Number One on the Hit Parade, and so much to the profound dismay of the MFQ, decided not to release the record they figured could be the big hit they were waiting for. Disillusioned, Cyrus decided to return to Hawaii, and the MFQ broke up for the first time. This was 1966. Chip Douglas joined the Turtles, Jerry Yester became a music producer, producing The Association and later Tom Waits and others, and Henry fell in love with photography. 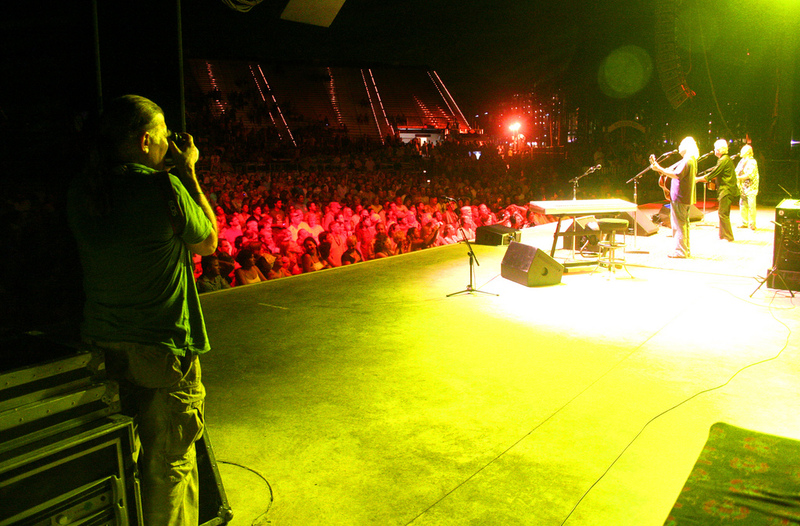 Shooting CSN in concert in Alabama. Though Henry was soon to be a serious pro photographer, his love was entirely about art, and never with any intention of making money. But his love for capturing vivid visuals was infectious, and his friends wanted to see themselves in those great slide-shows. They also recognized that Henry, a friend and fellow musician who shared their love of smoking “God’s herb,” as Henry calls it, was a whole lot more fun to be photographed by the pro photographers they’d known. It was Henry’s warmth and charm, as much as his technical and artistic prowess with a camera, that led him to become one of the great photographers of the Rock era. When Neil Young and Stephen Stills, then in Buffalo Springfield, asked him to come along to Redondo Beach one day to shoot some stills, Henry took the first of what became an unprecedented chain of amazing photographs, many of which were used for the covers and inside sleeves of classic albums. 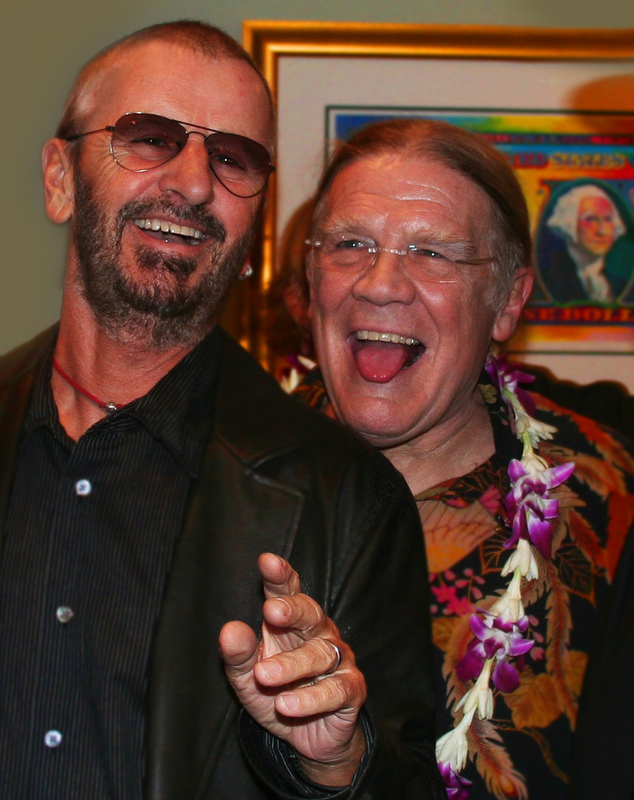 His first professional assignment was for his friend John Sebastian’s band The Loving Spoonful. They paid for him to come to New York, and he happily spent a summer taking photos of them. Because he was a friend of these famous folks, his photos were natural, unforced, and a great antidote to the fake studio glam then often foisted upon musicians. Henry teamed up with art director Gary Burden, who was adept at designing album art, as well as keeping up a conversation with a subject while Henry snapped away. It’s a lesson that has served him well, as he has photographed many of the most famous people in the world. Henry was never an outsider; he always arrived as a fellow musician, one of the gang. “With famous people, you’re either a friend or a fan,” he explained. It was a formula that worked. Gary would maintain a genial atmosphere, and Henry would gently snap away. It’s a method that led to many famous photos of that legendary Lady of the Canyon, Joni Mitchell. None of it was calculated to intentionally preserve historic visuals of rock and roll; all simply happened in the moment, often by “accident,” as Henry says. To shoot the cover of Morrison Hotel, for example, he and the band brainstormed about a potential title, when keyboardist Ray Manzarek mentioned a transient hotel he saw near Skid Row in Downtown L.A. It was the Morrison Hotel, at 1246 S. Hope Street. 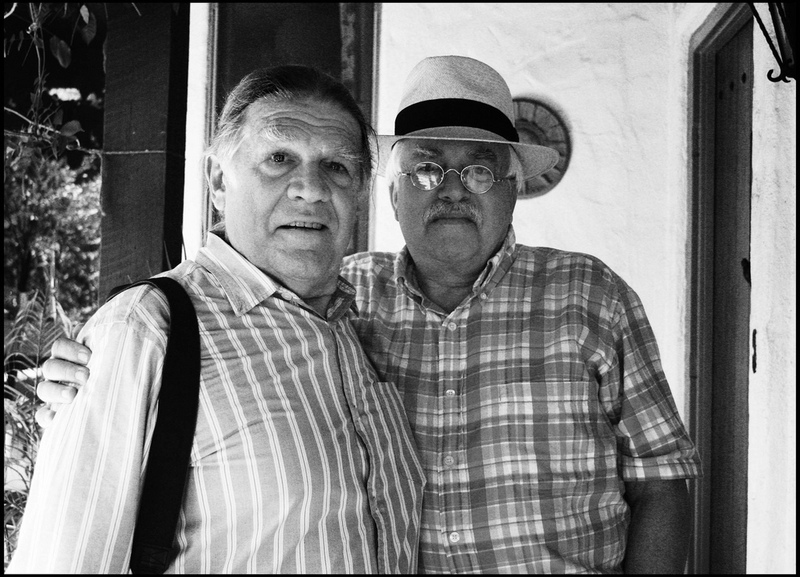 They hopped in their cars and drove there; Henry arriving first with Gary to photograph the old façade before the band arrived. Because it was Henry behind the lens, they were relaxed as ever, and a classic image was created. “One day in 1967 I got a call from a guy asking me to go down to The Monkees’ TV show at Gower Gulch. He said they’d pay $300. And that’s what happened–I’d shoot, and then they’d take the rolls of film, undeveloped. And kept them. “To this day I don’t have the rights to those. What happened is they used to have older guys shooting photos – like newspaper photographers – and the Monkees weren’t comfortable with them, they weren’t’ hip, they weren’t part of the scene. So they brought me in. Becoming the official photographer for Woodstock, despite its retrospective glory, was as uncalculated as his other famous forays. He accepted though he had no idea whatsoever what it would entail. His friend Chip Monck, a lighting designer, then living in Woodstock, New York, called him in 1969 and said, “Henry, we’re gonna have a big show here. You should come.” Henry told him he couldn’t afford it. Monck was the MC of Woodstock; his announcements from stage are preserved in the movie and record album. Henry arrived at Woodstock–which took place on Max Yasgur’s farm in Bethel, New York–three full weeks before the concert would commence. Not only did he never anticipate the scope of what Woodstock would be, he had so much fun living with and photographing the beautiful young people preparing for the show in this great setting that he wasn’t thinking ahead. Henry looking into his camera: “Woodstock was an amazing event. When thousands began flocking in and sitting in front of the giant stage, he caught on to what was happening. And loved it. “[Woodstock] was an amazing event,” he remembered. “I saw it from onstage and backstage, so I could see the flurry and the hurry of it all. People running around trying to keep it going, get the next act out there, because we have 400,000 people out there waiting! And it got crazy, you couldn’t drive anymore, the roads were all full. Although he came to recognize that Woodstock was way more vast than anyone could have planned, he had no concept of its actual size until he saw a newspaper photo. Despite the legendary expressions of free love blooming there, Henry focused on the job at hand. Henry, as the world has come to know, did a masterful job of preserving the visuals of Woodstock – all the color, the energy, the music – visuals which went a long way in establishing for the world the character of the “Woodstock nation,” as it was known. Henry was already a friend with Stephen Stills, Graham Nash and David Crosby, who performed at Woodstock with Neil Young. When they were forming, they’d often perform at people’s parties and astound their friends with their amazing harmonies on the Beatles’ “Blackbird” as well as their own songs. Henry would be there snapping shots, so when the time came to shoot a cover for their eponymous debut, they jumped in a car with Henry and Gary to seek out some locations for an album cover shot. Like almost all of Henry’s famous photos, this iconic photo happened again by accident, when they discovered an old abandoned house off on La Cienega on Palm in West Hollywood, which had an old couch in front. It became one of his most famous photographs ever. “[James’s manager] Peter Asher asked me to come to his house,” Henry said, “to take black & white promo shots. But the light wasn’t good there, so I suggested we go to Cyrus’ place – he lived them at the Farm on Barham Boulevard [no longer standing, it was situated on the ground behind what is now the Oakwood Apartments] . There were sheds and barns there, and I love shooting around barns, because there’s that old weathered wood. And the way the light comes in the windows is so good. “[James] was wearing a blue work-shirt. He was leaning against stuff, we were talking, but not too much. I didn’t really know his music then–nobody did. Two legends: Henry with Van Dyke Parks in Pasadena. One of the few exceptions to Henry’s happy accident method was the shooting of The Eagles’ Desperado, for which Gary envisioned the look of an old Western movie. “They told us it would be a cowboy record,” Henry remembered.”So Gary got some cowboy clothes from Western Costumes and some guns. We shot it at an old ghost ranch out in Agoura. As usual, I just shot everything that happened. Gary said, “Shoot everything you can. Film’s the cheapest part.” And as The Eagles played cowboys and pretended to have a gun fight, Henry caught it all, showing there’s really no kind of photography he can’t do. Though mostly associated with California artists, he’s also shot many artists whose music was made far from the Golden State, such as Paul McCartney. Henry knew Linda McCartney when both were photographers in New York, prior to her marrying Paul. One day in 1969 she called. “She asked me to shoot some pictures of Paul and her,” remembered Henry, “for the songbook for Ram. She said she couldn’t take photos of both of them, so I spent the day with them in Malibu taking photos of them and their family, their kids. These days, in addition to taking new photos, he’s selling a lot of his classic ones. 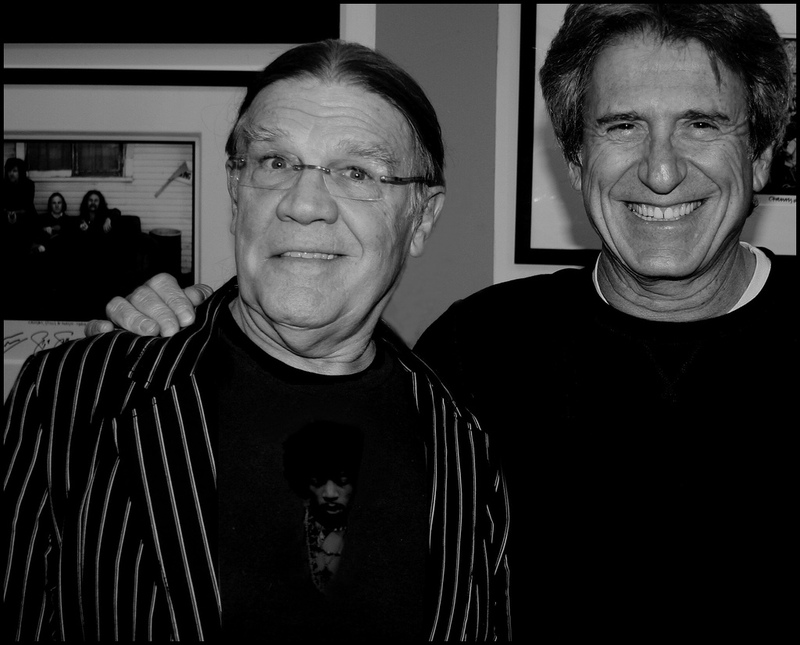 With Peter Blachley and Rich Horowitz, he’s opened several Morrison Hotel photo galleries around the country, which sell fine-art prints of his own work and that of other rock photographers. The first gallery was in the Soho section of New York, and the second in one-half of the former CBGBs club in the Bowery. He’s also had Morrison Hotel Galleries in Hollywood and La Jolla, and most recently opened one in West Hollywood at the Sunset Marquis Hotel, where a photo show by Henry’s old pal Graham Nash is about to debut. He lives these days in a quiet neighborhood of North Hollywood in a home filled with archives of slides and photos, as magazines and film companies and more call from around the world needing some of his famous photos. These days he has assistants to help him with this most difficult aspect of his work – the archiving and distribution of his work. Henry’s photos are also strewn beautifully through Harvey Kubernik’s classic book of Laurel Canyon history, Canyon of Dreams. And with the acclaimed writer Dave Zimmer, Henry created Crosby, Stills & Nash, The Biography. Henry Diltz, in his visual expedition into the heart of the music, preserved the magical genius of this great transitional American era. And although the musicians who created that music have aged, their music is untouched by time, the spirit perseveres, and those great photos by Henry Diltz remain. Yet Henry isn’t one ever to rest on his laurels. He stills looks with wonder at his remarkable career. Though he started taking photos with film cameras, and thought at one time he’d never change, he’s fallen in love with the unlimited potential of digital photography. Not only does he use professional model Canon SLRs, he also loves Canon’s tiny but amazingly high-quality Powershots.